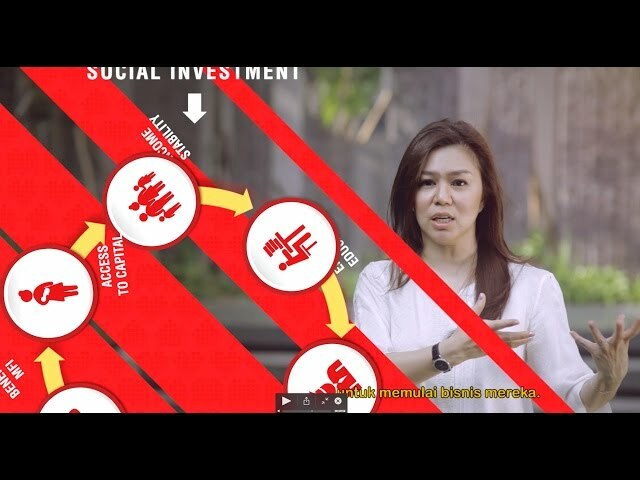 Because our solution of connecting the micro-finance program with education is currently implemented and is being scaled in Indonesia it is progressing very well but slowly due to the amount of capital needed. We have not introduced it outside of Indonesia at present but if the correct funding and country specific legislation can be approved, we are ready to start. Indonesia has been considered as one of the key countries that will shape the future of the global economy by 2030. However, the huge population of 261.1 million people in Indonesia can be an asset or a liability for the nation, depending on the way the people are developed. More than 28 million Indonesians still live below the poverty line, One of the challenges that causes poverty is employment growth. 62% of the total unemployment in Indonesia are youth, aged 15 to 24-year-old. Through this innovation we are serving not only the youth, but also the whole family and a unit. YCAB's Premise for Change aims to create a sustainable and virtuous cycle that links access to microloan to education attainment. Our solution aims to support in breaking the poverty cycle through education and economic empowerment. YCAB now has 55 learning centres spread across Indonesia and partnering with more than 9,000 schools. More than 42,965 youth have received basic education and courses with 72% of them finding jobs and 3,340 others have started their own businesses and in so doing, have created jobs for others. We believe that profitability equals sustainability, and that the existence of our for-profit entities within the YCAB Social Enterprise Group gives us the freedom and room to create better programs for the future of our youth. However, we believe that sustainability also means joint collaboration with corporate entities and the government. We aim to replicate this model in other countries globally as we think that the issue remains consistent for youth irrespective of their nationalities. To date, YCAB has touched the lives of more than three million underprivileged youths through education and entrepreneurship, while bringing greater financial access to more than eighty thousand microfinance clients, all of whom are women. By 2020, YCAB aims to reach out to five million youths in five countries in Southeast Asia.